Now that you have seen our beautiful and unique save the date's, I am excited to show you our wedding invitation suite! 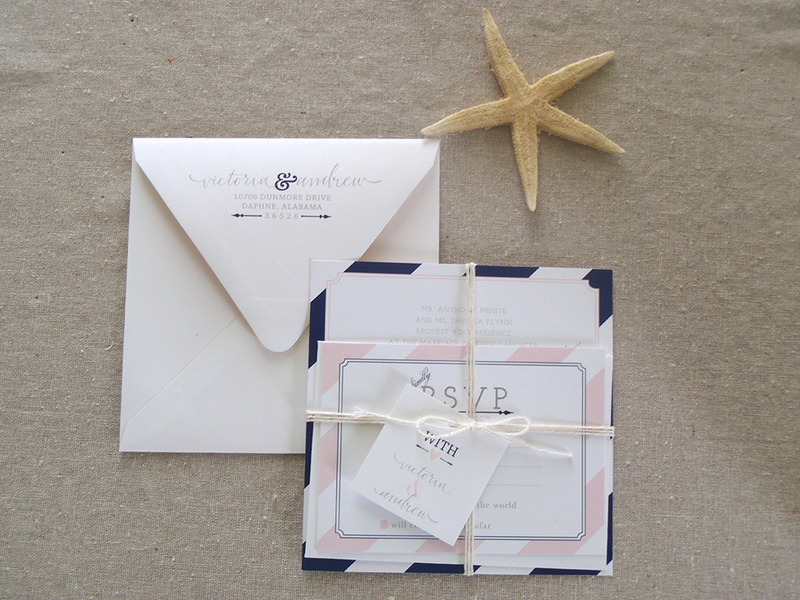 Honey Bee Invites designed all of our custom stationary for our upcoming Rosemary Beach wedding. I loved every bit of our invitation suite. The square invitation was my favorite touch. Our lovely stationer was able to send us both flat print and letterpress versions. Letterpress has always been my favorite, but flat print shows the colors we chose so vibrantly! I loved both of the pretty versions for different reasons. They are so pretty, aren't they? 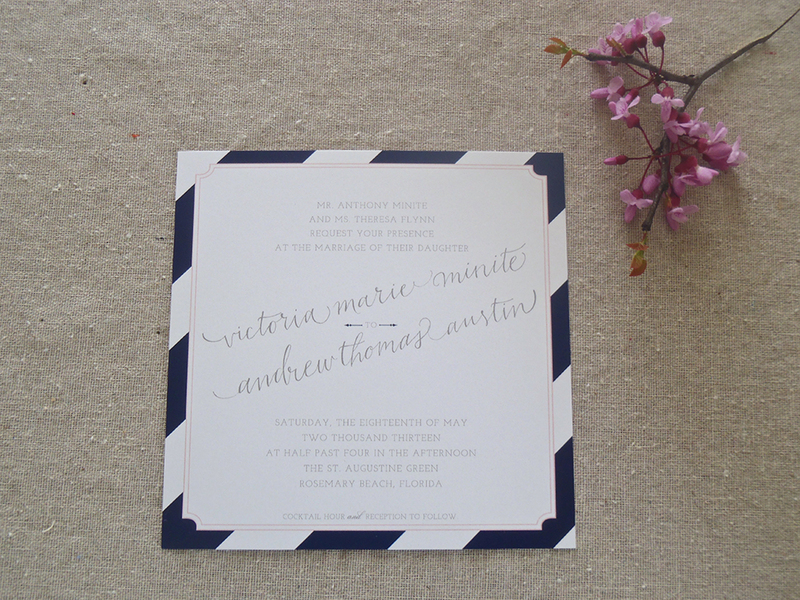 In my next post, I will show you our invitation suite in letterpress!